Richard Guy and University of Bath colleagues have created a non-invasive, adhesive patch, to measure glucose levels through the skin without a finger-prick blood test. 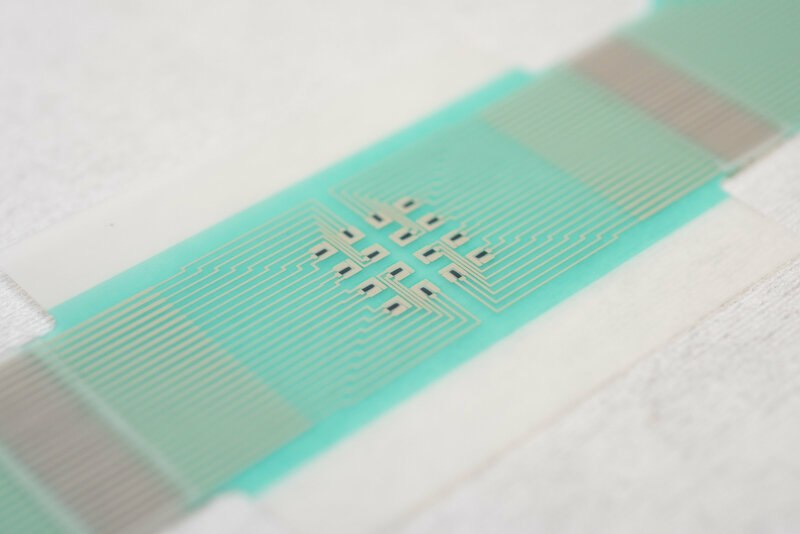 The patch draws glucose from fluid between cells across hair follicles, accessed individually via an array of miniature sensors using a small electric current. The glucose collects in tiny reservoirs and is measured. Readings can be taken every 10 to 15 minutes over several hours. Calibration with a blood sample is not required. 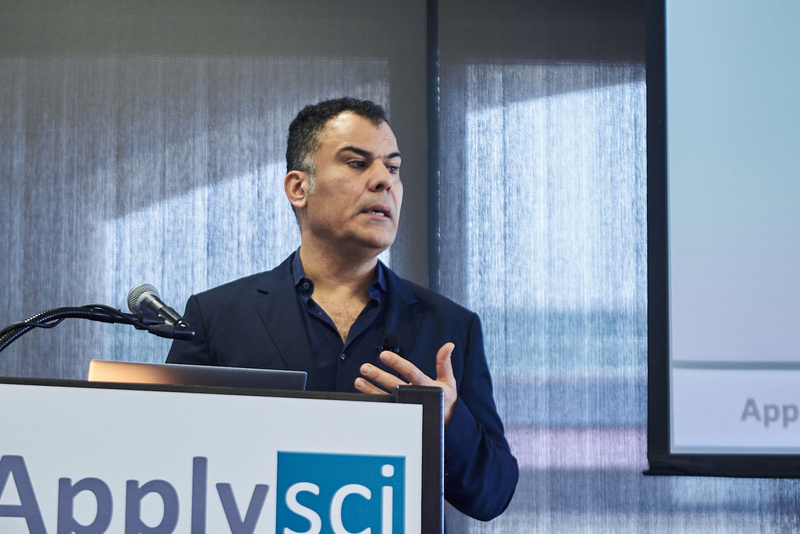 The goal is the development of a low-cost, wearable sensor that sends regular, clinically relevant glucose measurements to one’s phone or watch, with alerts when action is required. In a small study, Danilo Mandic from Imperial College London has shown that his hearable can be used to capture heart data. The device detected heart pulse by sensing the dilation and constriction of tiny blood vessels in the ear canal, using the mechanical part of the electro-mechanical sensor. The hearable is made of foam and molds to the shape of the ear. The goal is a comfortable and discreet continuous monitor that will enable physicians to receive extensive data. 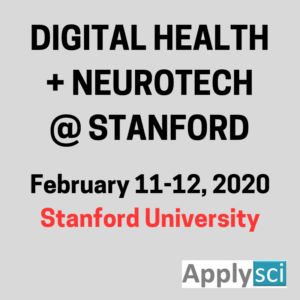 In addition to the device’s mechanical sensors, Mandic, a signal processing experter, claims that electrical sensors detect brain activity that could monitor sleep, epilepsy, and drug delivery, and be used in personal authentication and cyber security. 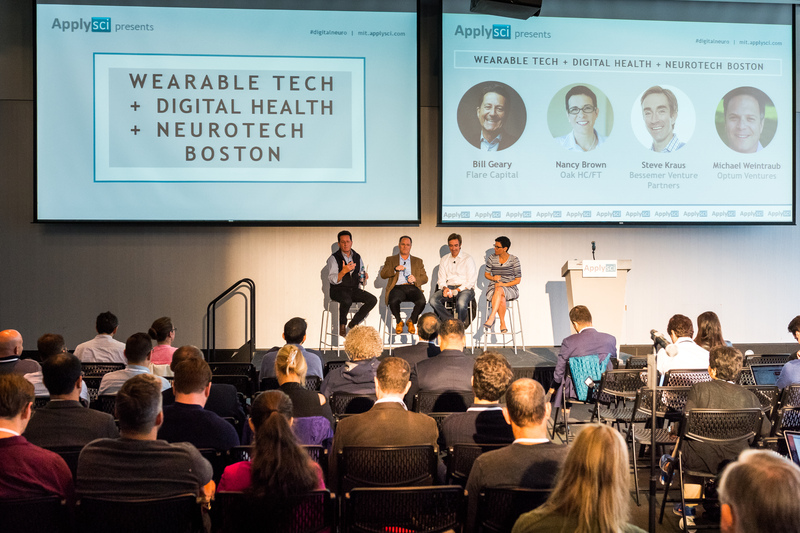 Video: Flare Capital’s Bill Geary, Bessemer’s Steve Kraus, Oak HC/FT’s Nancy Brown, and Optum Ventures’ Michael Weintraub on funding and commercializing innovation. 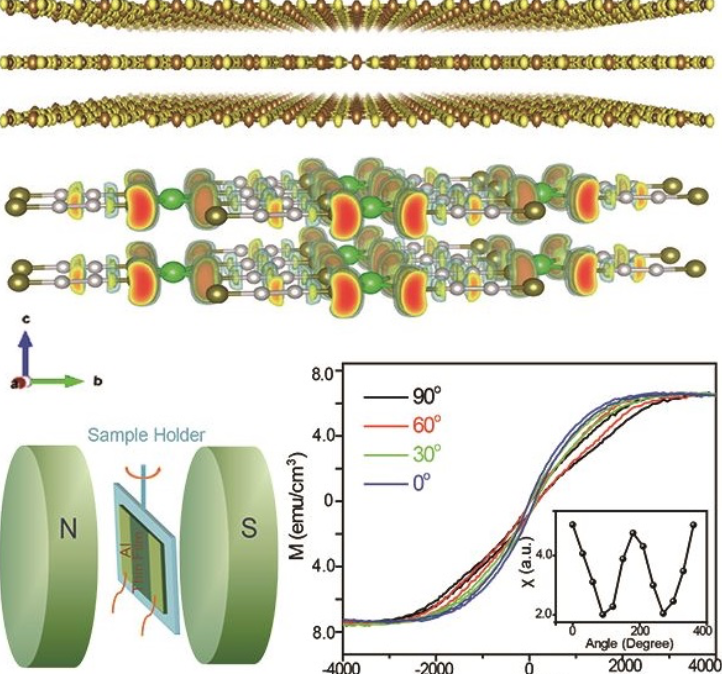 Northwestern’s John Rogers and Kyung-In Jang of the Daegu Gyeongbuk Institute of Science and Technology have developed a small, adhesive, flexible silicone patch capable of monitoring multiple health parameters. 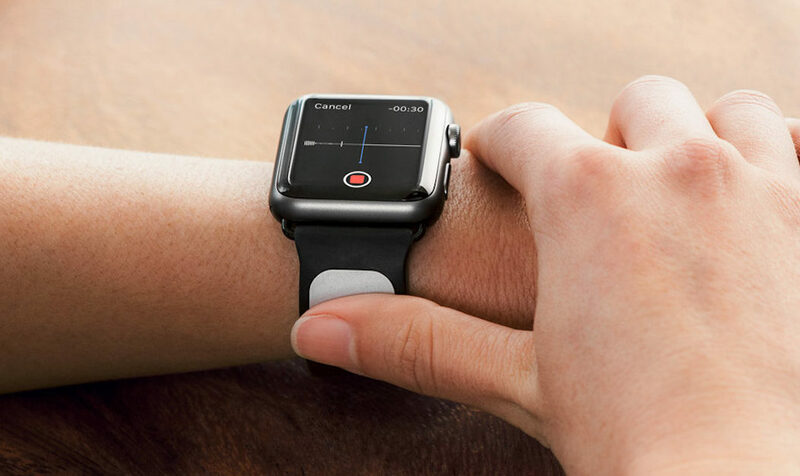 The soft, body-conforming wearable contains 50 components connected by 250 3-D wire coils embedded in protective silicone. It collects and wirelessly transmits data about movement, respiration, and electrical activity in the heart, muscles, eyes and brain. 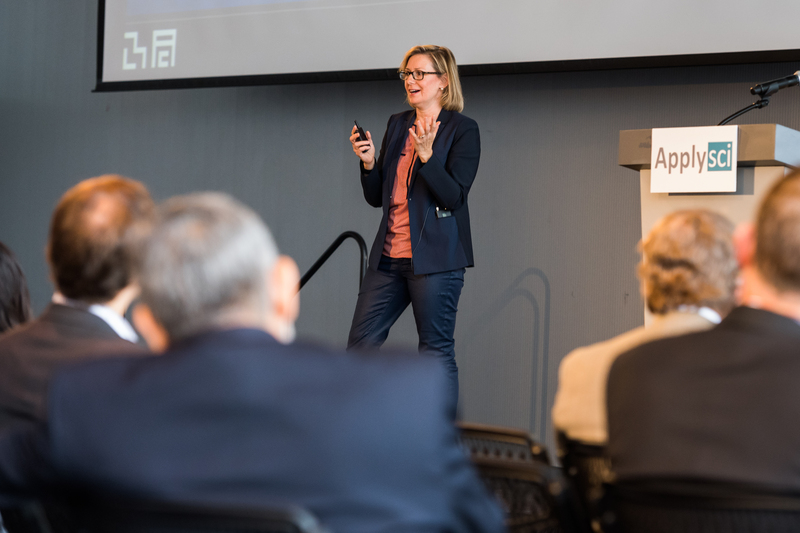 Jang believes that the biosensors could be devloped into a closed loop medical system using big data and AI, and thereby facilitate quality remote healthcare. The team is also exploring the use of the patch in robotics and self-driving cars. 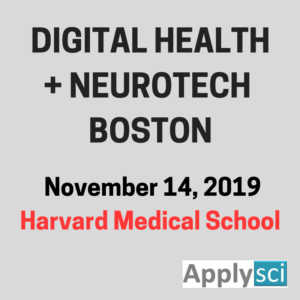 Professor Rogers will present his research at ApplySci’s upcoming Wearable Tech + Digital Health + Neurotech conference, on September 19th at the MIT Media Lab. Registration rates increase Friday, August 25th. University of Tokyo professor Takao Someya has developed a hypoallergenic, adhesive, continuous health sensor. 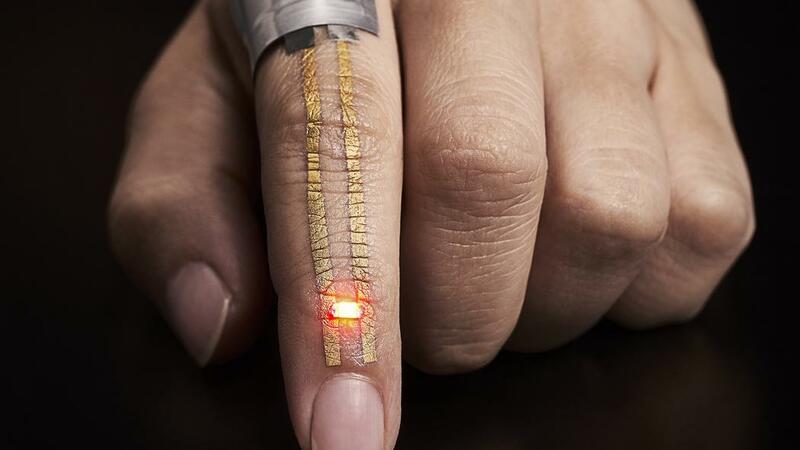 The device can be worn comfortably for a week because of its nanoscal mesh elastic electrodes. This allows the skin to breathe, preventing inflammation. The electrodes contains a biologically compatible, water-soluble polymer, polyvinyl alcohol, and a gold layer. The wearable is applied by spraying a tiny amount of water, which dissolves the PVA nanofibers, and allows it to stick easily to the skin. It conforms to curvilinear surfaces of human skin, such as sweat pores and the ridges of an index finger’s fingerprint pattern. A study of 20 subjects wearing the device showed that electrical activity of muscles were comparable to those obtained through conventional gel electrodes. There was no inflammation after one week, and repeated bending and stretching did not cause damage, making this a potentially disruptive method to monitor health and performance.